Used Hollywood Calicchio 1S2 medium large bore Bb trumpet in silver plate with raw brass leadpipe and tuning slide. 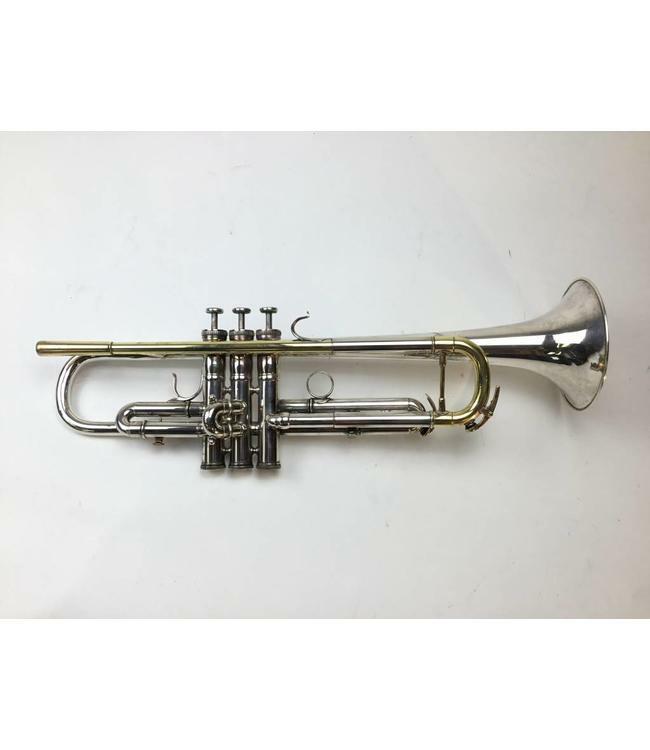 This trumpet is in good condition with minor repair evidence throughout. Leadpipe and tuning slide do not appear to be original to the trumpet, but are Calicchio parts. No case.